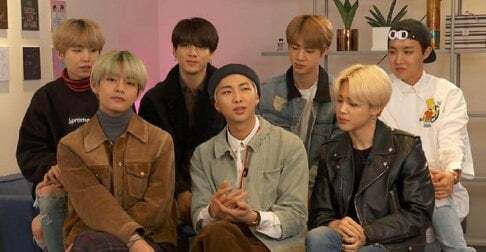 BTS' ARMY has taken to Twitter with complaints about YouTube views. On April 13, the hashtag '#YouTubeGiveUsOur10MillionBack' trended #1 on Twitter worldwide as BTS' fanclub demanded an answer regarding a significant drop in views for the MV of "Boy With Luv". Although the MV has set a new record as the fastest video to reach 10 million views, the increments following the initial gain were allegedly inconsistent with a much faster increasing rate and had lowered the already-existing number of views. According to ARMYs on Twitter, the video dropped from 85 million views to 81 million views at one point, eventually deleting 10 million views in total. In addition to trending the hashtag on Twitter, several fans seem to have sent direct e-mails to Big Hit Entertainment to escalate the issue. So far, no official evidence or statement regarding the alleged drop in views has been addressed by YouTube or BTS. Stay tuned for updates. "Some missed school, work, sleep and eating." Stop missing school, work, sleep and eating. It's just a damn music video that's only 4 minutes long. How does anyone miss 24 hours in a day just for 4 minutes? Do people spend ALL day streaming? Stop this obsessive culture. No wonder people look down on kpop fans. Back to the topic, if you are overly zombie streaming it just means YT detected a fake views. So take a break and watch CASCUALLY so less fake views and more genuine views.